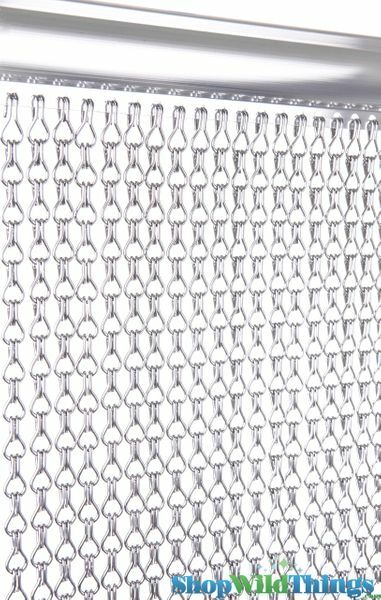 Add dazzle to your business, stage set or home with our silver Lynx aluminum metal chain beaded curtains from ShopWildThings. 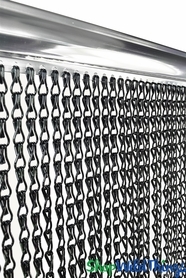 These are the same 74-inch-long aluminum chain curtains you have seen in high-end restaurants, salons and upscale retail displays. 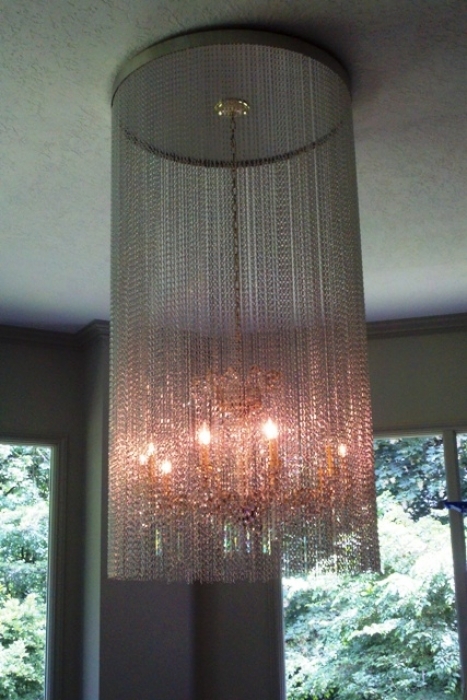 Each American-made metal bead curtain has 68 strands of metal link chain. Each link is 22 mm tall. The heavy-duty silver aluminum header rod is 35 inches wide. The 2-inch-tall rods and 72-inch-long strands equal a total length of 74 inches. These curtain rods with pre-installed strands take just minutes to position and hang. If the strands are too long, simply remove links to shorten the length. 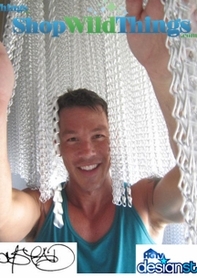 Scroll down to our videos to see how HGTV designer David Bromstad used our fun, fabulous Lynx aluminum metal chain curtains for a custom installation at the upscale House of Rock restaurant and bar in uber-trendy Santa Monica, California. Bromstad made sure to let us know that he "loves, loves super-loves" ShopWildThings. Because they are fireproof, they are a terrific choice for retail installations. We think you're going to love our curtains and expert customer service, too. 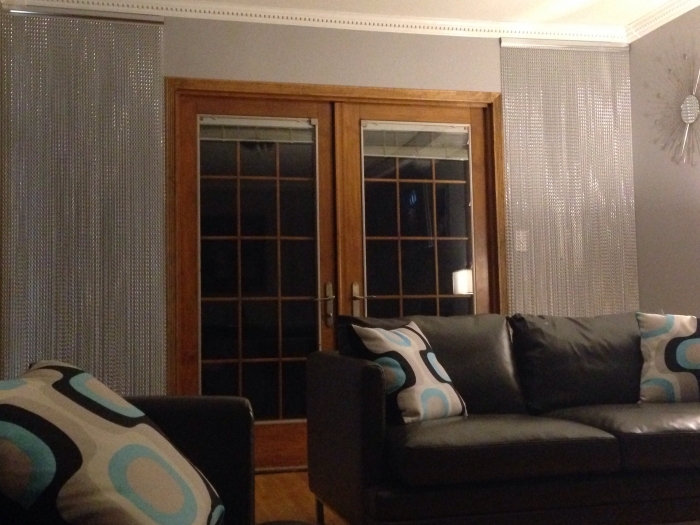 Click on our other video on this page to learn how simple it is to hang these curtains. 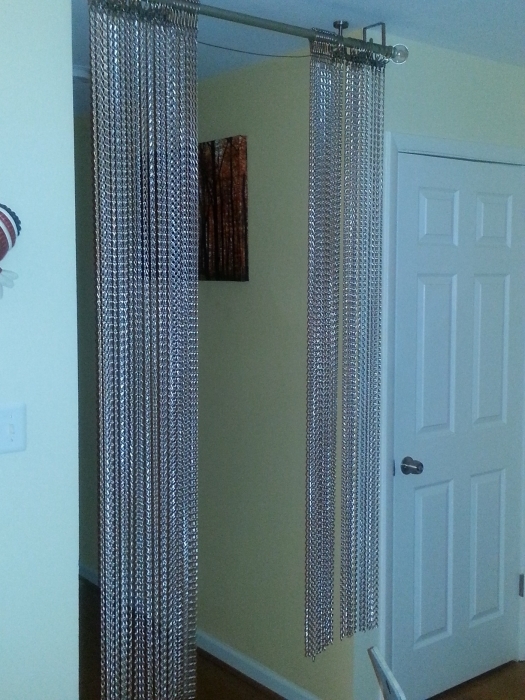 If you need custom sizes, visit our metal chain by-the-foot custom curtains section. 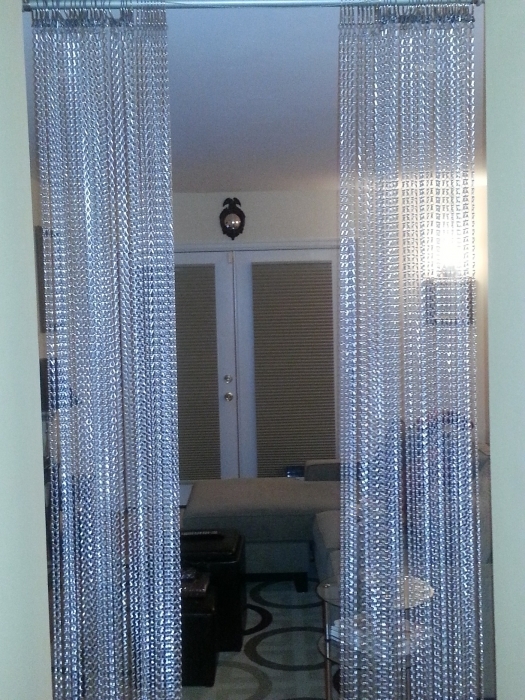 We also carry faux metal acrylic bead curtains. I special ordered these to fit my wall space. They came perfect! I couldn't be happier!! The totally complete my room. What a breeze to install. Merchant Response:We can't wait to show our team these photos! Thank you for your business and for taking the time to post your review and images. It's fun for us to see the different creative uses of our products. We hope you'll come back again! It is a great looking curtain that attracts the eyes of our visitors. Was a good choice. Thanks for the variety to choose from. We bought this item for our Gelato parlor in Miami it looks as nice as I expected. It was very easy to install. Quality all the way. Fit feel function. Great online buying experience all the way. I saw these when I was in Panama City and immediately knew this was what I wanted for my new sun room. Searched on line and found them!!! I used them for shorter windows, but it was very easy to make them the length I wanted. Very unique and it was exactly the look I wanted. 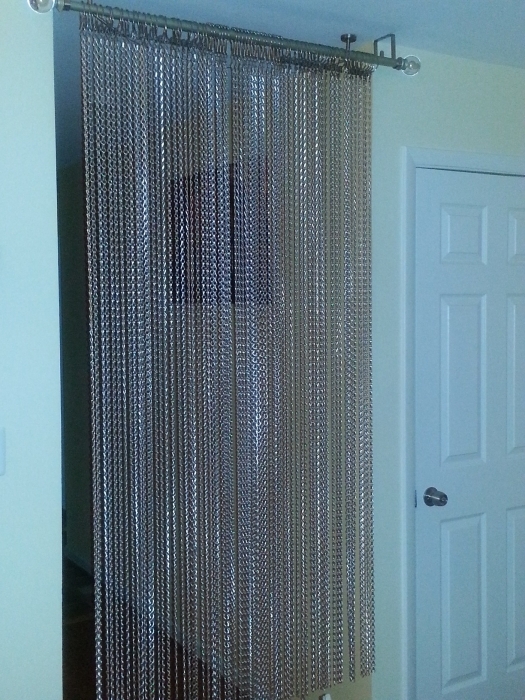 I saw these chain curtains at my hair salon and tracked them down. They look amazing! Hide my laundry room without an intheway door. ProsSturdy, modern, easy to hang. 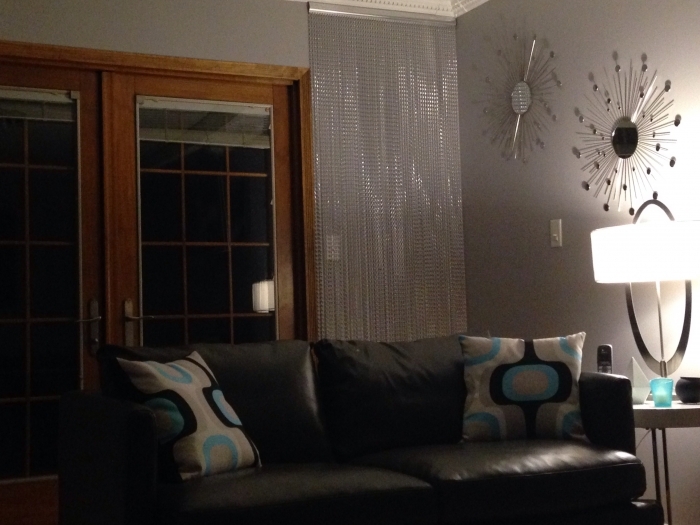 I hung the curtains in my house in a pass way between the foyer and the living area. Once I unhooked the curtains from the header it was a matter of re-hooking them to curtain rings to place on rods. I appreciated that it was relatively easy to unhook the curtains links from header rod. It would have been better if there were additional options to hanging the curtains out of the box. ProsVery nice looking. Lightweight. With a little work versatile. ConsI had planned to suspend the curtains from an opening with no door frame. The header is made to fit on a door frame. The curtain It would have been better if it were built to have more options without having to unhook 68 links. Very shiny and it's (relative) light weight makes it easy to work with. The metal rod wasn't at all flexible, so I had to remove the chains from the rod to use in a circle. The result was near perfect. The individual chains did not appear to be completely uniform in length, but that could be because I removed them from the metal rod.